Your #1 Complete Security Service Company... Serving all of Southern New Mexico. Have "Peace of Mind" knowing you and your property are being protected by SCI. Future predictions show that police agencies will have less time to protect private and industrial properties and will focus on crimes against people. Due to increase in crime in the Las Cruces area, the only guarantee to protect your property and investments is to hire you own private protection. You can hire you own private security agency to check and protect you protect your property day after day, night after night. 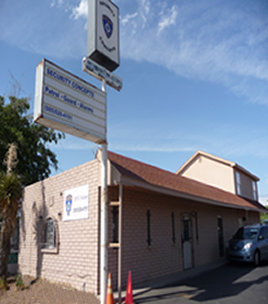 Now is the time to join the hundreds of local business and residential citizens in Las Cruces who have already invested in private security. Have peace of mind….Know your properties are protected and secure. Security Concepts, Inc (SCI) had been in operation since 1980 and our management has over 50 years of combined experience in Law Enforcement and Private Investigations. SCI staff instructors are certified by the National Rifle Association (NRA) and New Mexico Department of Public Safety (NMDPS), as well as, are certified to teach Non Violent Crises Intervention (CPI) and CPR / First Aid. Our security officers are thoroughly trained in all aspects of security and safety.